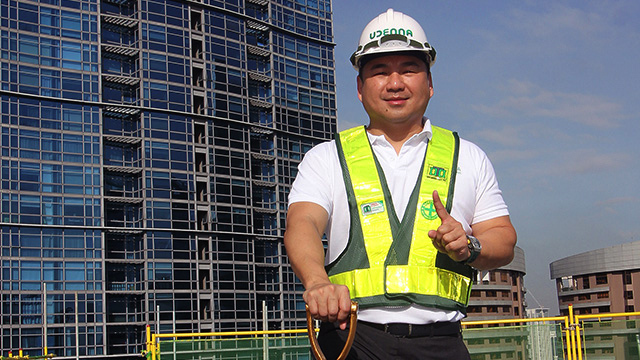 At just 43, the Davao entrepreneur known for his close ties to the president has built a business empire worth billions. Phoenix Petroleum opened its first gas station in Davao City in 2002. Today, the company has over 500 filling stations nationwide, with more planned in the coming months. Its market capitalization as of August 2017 stood at P16.5 billion, while Dennis Uy himself is now worth about $430 million (P22 billion). Starting with oil retail, Davao native Dennis Uy has since built up his business empire to include a logistics company, convenience store chain, hospitality management school and gaming. When the local oil industry was deregulated in 1998, it paved the way for smaller independent players to compete against the so-called Big Three oil companies. New players entered the market and pumped more than P30 billion of new investments by 2009 after the oil deregulation law was passed. 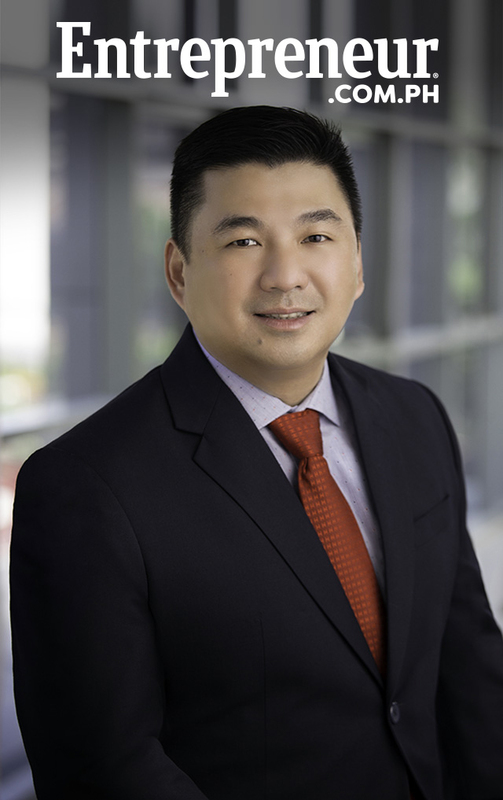 Of the 80 new oil players that became active in the industry by 2010, one of the largest is Phoenix Petroleum of Davao-based businessman Dennis Uy. Established in 2002, the company was initially called Oilink Mindanao Distribution Company and then became Davao Oil Terminal Services Corp. (DOTSCO) in 2004 before officially being renamed Phoenix Petroleum Philippines in 2006. “We saw the deregulation of the country’s retail fuel industry as an opportunity to capture the underserved market of Mindanao,” Uy says. “Negative perceptions of the South had discouraged other oil companies to enter the market, leaving Mindanao with limited choices. There was really a gap and, coming from Davao, I knew we deserved better." Uy, who grew up in a family of entrepreneurs, says he realized at an early age the importance of hard work and financial independence. After graduating from De La Salle University, he initially worked for the family business, which includes copra trading and prawn farming, before going off on his own when he earned enough. His first venture was in the food business, opening several branches of a barbecue-themed restaurant, before he went into fuel retailing. By 2005, his fledgling company had a total of five gas stations. The biggest challenge Uy faced during the early days of the company was access to capital. As a newcomer in an industry long dominated by established companies—and one with roots in the province, away from the country’s financial centers—Phoenix faced restrictions in its attempts to accelerate expansion. Phoenix Petroleum listed in the stock market in 2007. Uy (center, in barong) is seen here with company and Philippine Stock Exchange officials on the 10th anniversary of its listing last year. Uy’s bold solution was to list the company in the Philippine Stock Exchange in 2007, becoming the first company based in Davao and the first oil company to do so after the passage of the Oil Deregulation Law in 1998. Worries about how the listing would be received proved to be unfounded. 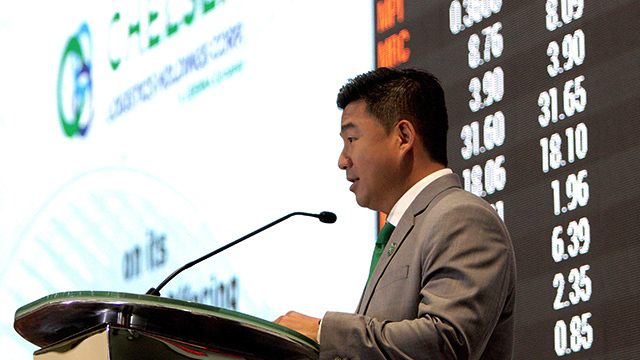 The initial public offering was 15 times oversubscribed and raised over P280 million, which the company used to finance its expansion program. “Our successful and oversubscribed IPO did not only give us fresh capital but also introduced us to more investors and partners,” Uy says. By 2008, the company was able to open its first gas station in Marikina City, its first in Luzon. Today, Phoenix has over 500 filling stations across the country, with more planned in the coming months. The company’s market capitalization as of August 2017 stood at P16.5 billion and it has captured just under six percent of the market. Uy himself is now worth about $430 million (P22 billion). 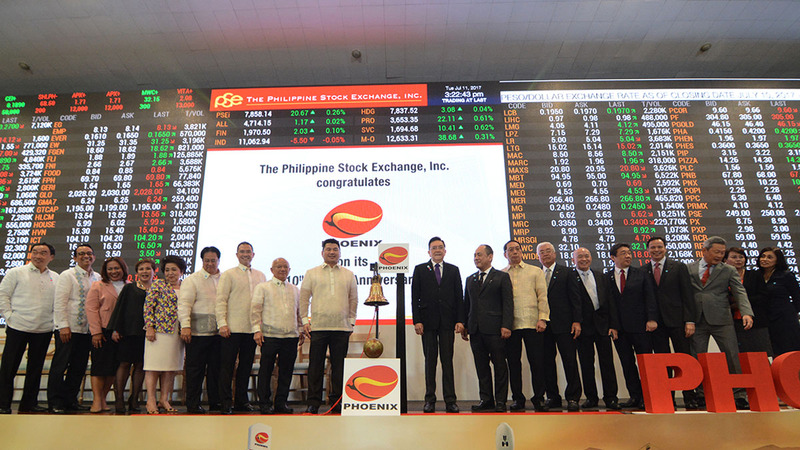 Phoenix Petroleum was the first in Uy’s portfolio of companies under the holding firm Udenna Corp., of which he owns 70 percent (the remaining 30 percent is controlled by his wife, Cherylyn Uy). The 43-year-old entrepreneur says Udenna is at a point of capturing opportunities to expand existing businesses and create synergies among them. The expansion outside of oil started as early as 2006, when Uy’s company acquired a tanker to serve the requirements of Phoenix Petroleum. This started Uy’s foray into shipping and logistics, which would be fully realized when the company acquired a stake in the already-listed shipping company 2GO Group Inc. in April 2017. “We found an additional growth engine in 2GO,” Uy says. “The deal presented an additional 26 operating vessels that allowed our shipping and logistics businesses, consolidated under Chelsea Logistics Holdings Corp. (CLHC), to transport people to more locations as Philippine tourism booms. It also gave us additional capacity to move cargo throughout the supply chain while e-commerce continues to gain momentum and trade opportunities abound in the region. “Looking at the bigger picture, our investment in 2GO aligns with our commitment to contribute to our economy’s growth story by facilitating more efficient trading within and outside the archipelago,” Uy adds. In August 2017, CLHC listed at the PSE, becoming the third publicly listed company owned and controlled by Uy. The year 2017 was a busy one for the emerging tycoon. In July, Udenna acquired educational institution Enderun Colleges, which he says was a move to support the company’s foray into the hospitality sector as well as their ship management and manpower business. In late October, the company purchased the local operations of convenience store chain FamilyMart. But perhaps Uy’s biggest gamble, so to speak, is venturing into the gaming and integrated resorts business through Lapu-Lapu Leisure Mactan. In May last year, the Philippine Amusement and Gaming Corp. (PAGCOR) granted Udenna a provisional license to build and operate the first private integrated gaming resort complex outside of Metro Manila in Cebu. Various media reports said the total cost of the investment is about $341 million. “Lapu-Lapu Leisure Mactan will rise within a 12-hectare prime beachfront—only six kilometers or a 20-minute drive away from the airport,” Uy says. “It will be a premier business and holiday destination year-round, serving as a gateway to the best diving, snorkeling, island hopping and water sports experiences in the country. “As we develop a world-class leisure, residential, and commercial destination in Central Visayas, we hope to become a key economic growth driver in the region by creating thousands of jobs and small-business opportunities aside from supporting the government’s community development programs,” he adds. On his relationship with President Rodrigo Duterte, Uy insists it is one built on years of cooperation between a small entrepreneur and a government leader sharing a vision of a progressive city. But it hasn’t been all successes. Earlier this year, the Philippine Competition Commission (PCC) nullified the merger between Udenna and the Dutch company KGL Investment Cooperatief U.A. in connection with the former’s acquisition of a controlling stake in its competitor, Negros Navigation. The PCC said it was because both parties failed to notify it about the deal. Uy says he chooses to look at the decision not as a setback but as a learning opportunity for the company. “While we reiterate that we acted in good faith in consummating the transaction based on our interpretation of the then newly issued rules, we respect the decision of the PCC and we will go through the process to have the transaction approved,” he says. On Monday, May 10, the PCC finally approved the transaction after Udenna complied with the agency's requirements and paid a fine amounting to P19.6 million. Another issue Uy’s critics have pointed out is his apparent closeness with President Rodrigo Duterte, who is a former mayor of Uy’s hometown of Davao City. Uy is a major donor to Duterte’s presidential campaign and there has been speculation their close ties have been beneficial to Uy’s businesses. “It’s actually more difficult when you know the president because there’s pressure to lead by example, to do good,” Uy said in a Bloomberg interview. 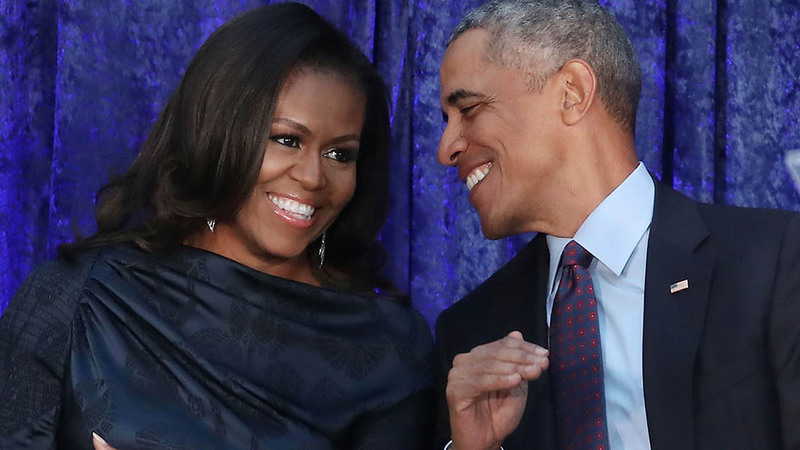 He insists his relationship with the President is one built on years of cooperation between a small entrepreneur and a government leader sharing a vision of a progressive city. Uy, who counts as his business idols well-known tech entrepreneurs like Steve Jobs and Jeff Bezos, as well as duty-free shopping billionaire Chuck Feeney, says that the ultimate goal of Udenna Corp. is to keep the entrepreneurial spirit alive. Although he declined to say any new businesses in the pipeline, one can’t help but get a sense of someone who is always on the lookout for exciting ventures that would lead to growth and prosperity that he wants to share with as many people as possible.